The 2019 Ram ProMaster City means business. Although it is the smallest in Ram’s ProMaster line up, you can rest assured that what is lacks in size, it makes up for in capability. Think of it as your work horse, with a positive attitude, except it never says neigh, because it’s too busy exclaiming, “Yay!” From where does this excitement come? 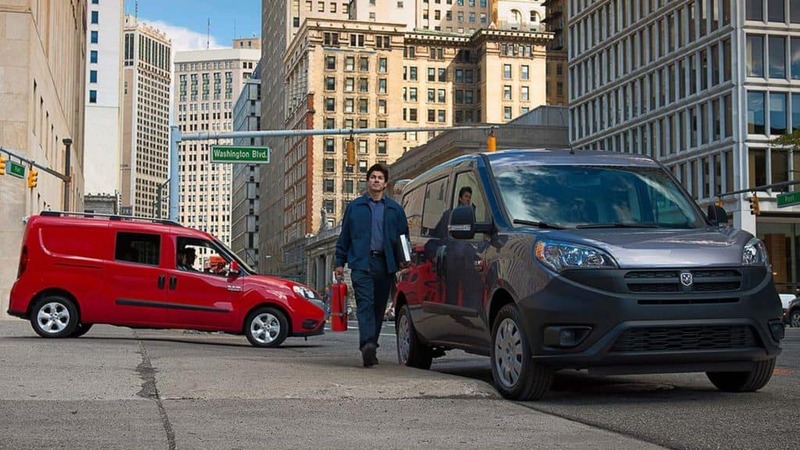 The excitement is powered from the ProMaster’s 2.4 L 4-cylinder, which pushes out 178 hp. It’s plenty to get the job done, which is what you’re trying to do! 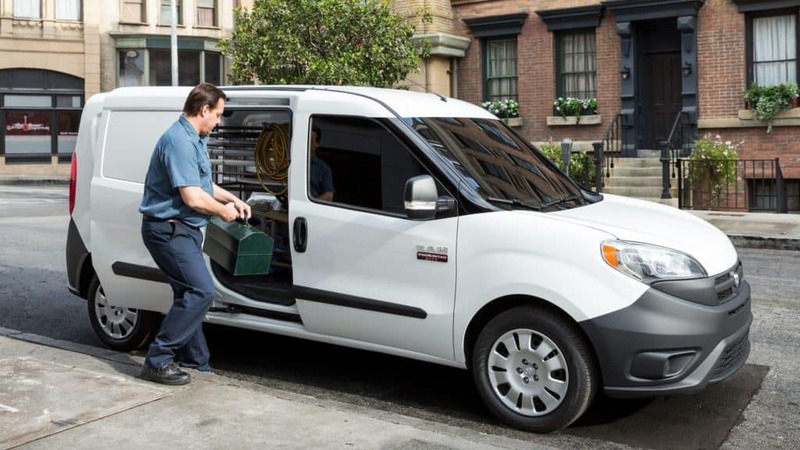 And while you’re getting the job done with the 2019 Ram ProMaster, you’re saving money at the pump. 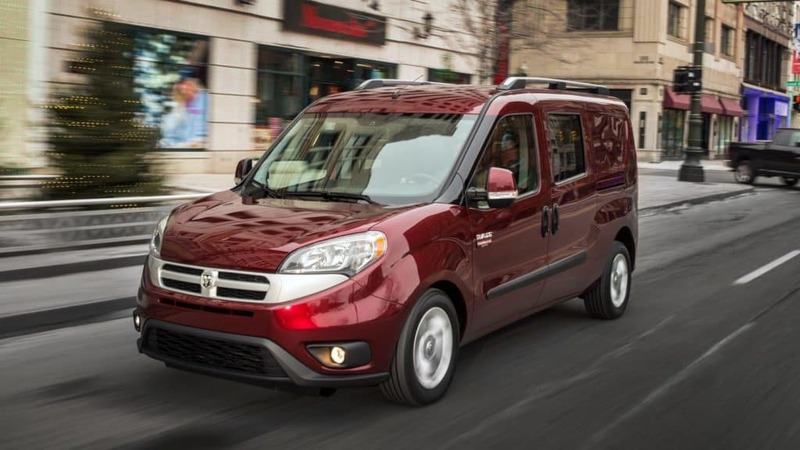 As a result of being front wheel drive, the Ram ProMaster has impressive fuel economy: 21 city and 28 highway. On a typical workday, the Ram ProMaster is made to get you from point A, all the way to point Z, and back to the shop! Impressed? Keep reading to find out more about the 2019 Ram ProMaster. The 2019 Dodge Ram ProMaster City passenger van is front wheel drive. With 5 seats available, you have plenty of room for passengers. You also have the option to fold down the seats giving you a max cargo is 74.2 cu ft. That’s enough room to transport all your goods safely. Having a max tow 1,914 lbs and max payload 1,760 lbs, it is ready to take on the hardest of jobs. The ProMaster City comes with standard safety features and a back up camera. The RAM logo has been added to the grille of the entire line up of ProMasters. There are several upfits available, so you can design the inside of your van for your specific needs. For example, you can have a shelf with pull out shelving installed, which will maximize your cargo space. All doors open to a full 180 degrees, making loading and unloading a sinche. The Ram ProMaster City comes both a van or wagon body style. 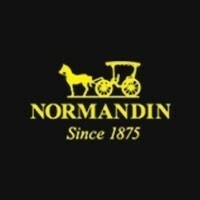 You have 4 trims to choose from, the Tradesman Cargo Van, the Tradesman SLT Cargo Van, the Passenger Van, and the Passenger Wagon SLT. 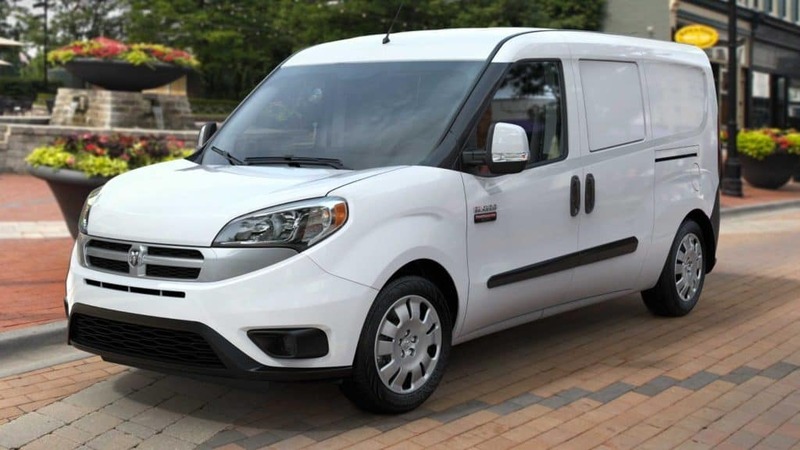 The Tradesman Cargo Van is best in class in torque, cargo, tow, and payload, making it an excellent choice for any business. 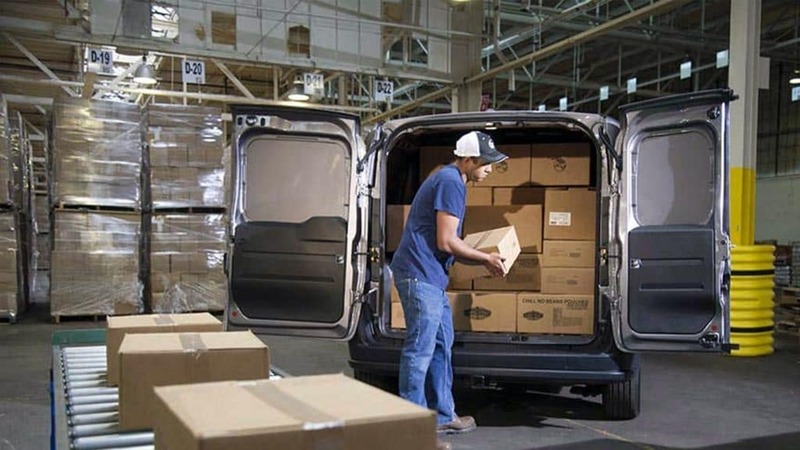 The Tradesman SLT Cargo Van takes functionality a set further, allowing for 9 different seating configurations. The Passenger Van has all the perks of a van while still feeling like a car. With Best-in-Class 28 mpg, your wallet will be thanking you! The Passenger Wagon SLT adds to the original with increased high roof and front cargo space. Come see the 2019 Ram ProMaster City in person at Normandin Dodge Jeep Chrysler! Our sales staff cannot wait to hear all your business and help you customize the ProMaster City to make your life easier. Whether you live in San Jose, Sunnyvale, Santa Clara, or Milpitas, come see us today!